It travels with various other diseases, which combined kill millions of people per year. These diseases include diabetes, cardiovascular disease, cancer, stroke, dementia and various others. In the discussions about weight gain and obesity, many people seem to think that it is purely a function of willpower. In my opinion, that idea is ridiculous. I do agree that whether we gain weight (or not) is a result of behavior, in this case eating behavior. If we eat more than we burn, we gain weight. If we eat less and exercise, then we lose. However… human behavior is complex. It is driven by various biological factors like genetics, hormones and neural circuits. Eating behavior, just like sexual behavior and sleeping behavior, is driven by biological processes. Saying that behavior is simply a function of willpower is way too simplistic. It doesn’t take into account all the other factors that ultimately determine what we do and when we do it. Most people’s willpower crumbles under the force of other signals, both internal and external. 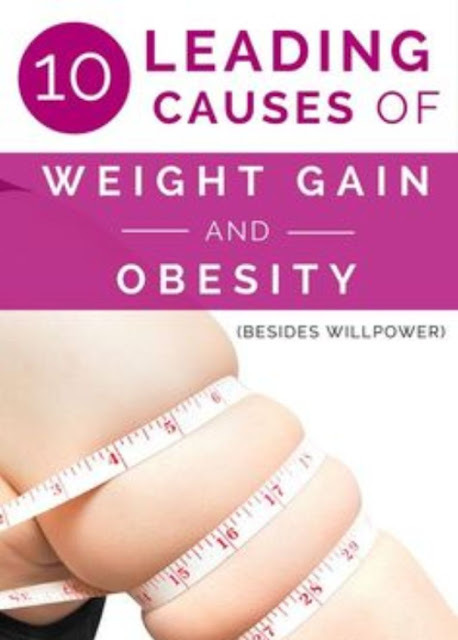 Here are 10 factors that I believe are leading causes of weight gain, obesity and metabolic disease, that really have nothing to do with willpower. Non-industrialized societies rapidly become obese when they start eating a typicalWestern diet. Their genes didn’t change, the environment and the signals they sent to their genes changed. It does seem clear that there are genetic components that do affect our susceptibility to gain weight. Studies on identical twins demonstrate this very well. Today, foods are often little more than refined ingredients mixed in with a bunch of chemicals. These products are engineered to be cheap, last long on the shelf and taste so incredibly good that we just can’t get enough. By making foods “hyperpalatable,” the food manufacturers ensure that we eat a lot and decide to buy and eat them again and again. These highly engineered junk foods cause powerful stimulation of the reward centers in our brains . You know what else does that? Drugs of abuse like alcohol, cocaine, nicotine and cannabis. The fact is that junk foods can cause full-blown addiction in susceptible individuals. People lose control over their eating behavior, in the same way as alcoholics lose control over their drinking behavior. Addiction is a complex issue with a biological basis that can be very difficult to overcome. When you become addicted to something, you lose your freedom of choice and the biochemistry in your brain starts calling the shots for you. The junk food companies are very aggressive marketers. Their tactics can get unethical at times and they constantly market very unhealthy products as if they are health foods. The food companies make misleading claims and they spend massive amounts of money sponsoring scientists and major health organizations to influence their research and guidelines. In my opinion, the junk food companies are even worse than the tobacco companies ever were, because they target their marketing specifically towards children. Children are becoming obese, diabetic and addicted to junk foods way before they’re old enough to make conscious decisions about these things. Insulin is a very important hormone that regulates energy storage, among other things. One of the functions of insulin is to tell fat cells to store fat and to hold on to the fat that they already carry. The Western diet causes insulin resistance in many individuals . This elevates insulin levels all over the body, making energy selectively get stored in the fat cells instead of being available for use. The best way to lower insulin is to cut back on carbohydrates, which usually leads to an automatic reduction in calorie intake and effortless weight loss. No calorie counting or portion control required . There are many pharmaceutical drugs that can cause weight gain as a side effect. Examples include diabetes medication, antidepressants, antipsychotics, etc. These drugs don’t cause a “willpower deficiency” – they alter the function of the body and brain, making it selectively store fat instead of burning it. Another hormone that is crucial in obesity is Leptin. This hormone is produced by the fat cells and is supposed to send signals to the hypothalamus (the part of our brain that controls food intake) that we’re full and need to stop eating. Obese people have lots of fat and lots of leptin. The problem is that the leptin isn’t working as it should, because for some reason the brain becomes resistant to it . This is called leptin resistance and is believed to be a leading factor in the pathogenesis of obesity. One factor that has dramatically influenced the collective waistline of the world is a massive increase in food availability. Food (especially junk food) is everywhere now. Even gas stations sell food and merchants stack tempting products like candy bars in areas that maximize the chances of impulse purchases. Another problem related to availability is that junk food is often cheaper than real food, especially in America. Some people, especially in poorer neighborhoods, don’t even have the option of purchasing real foods. The convenience stores in these areas only sell sodas, candy and processed, packaged junk foods. How can it be a matter of choice of you literally don’t have a choice? In my opinion, sugar is the single worst part of the modern diet. The reason is that when consumed in excess, sugar changes the hormones and biochemistry of the body, contributing to weight gain. Added sugar is half glucose, half fructose. We get glucose from all sorts of foods, including starches, but we get the majority of our fructose from added sugars. Excess fructose consumption causes insulin resistance and elevated insulin levels. It may cause leptin resistance, at least in rats . It also doesn’t cause satiety in the same way as glucose. All of these contribute to energy storage and ultimately, obesity. 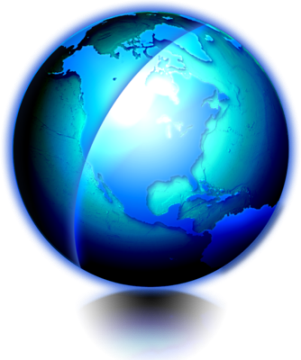 People all over the world are being misinformed about health and nutrition. I think the main reason for this is that the food companies sponsor scientists and major health organizations all around the world. For example, the Academy of Nutrition and Dietetics (the biggest organization of nutrition professionals in the world) is heavily sponsored by the likes of Coca Cola, Kellogg’s and Pepsico. The American Diabetes Association is sponsored by drug companies by millions of dollars per year, companies which directly profit from the failed low-fat advice. Even the official guidelines promoted by the government seem to be designed to protect the interests of the corporations instead of promoting the health of individuals. How on earth are people to make the right choices if they’re being constantly lied to by the government, the health organizations and the very professionals that are supposed to know what to do? I am NOT suggesting that people should use this article as an excuse to give up and decide that their fate is outside of their own control. Not at all. Unless there is some medical condition getting in the way, it is within any individual’s power to control their own weight. It can be done. It often takes hard work and a drastic lifestyle change, but many people do succeed in the long run despite having the odds stacked up against them. The point of this article is rather to open people’s minds to the fact that something other than “individual responsibility” may be causing the obesity epidemic. The fact is that the way our foods and society have been engineered are all important factors that must be fixed if we are to reverse this problem on a global scale. The idea that it is all caused by a lack of willpower is exactly what the food companies want us to believe, so that they can continue their unethical marketing in peace.